Made in America's heartland by Soy Basics, Beanpod Candles are poured with 100% stabilized soy wax. If you're looking for fresh and exciting fragrances to enhance your home or office, and you appreciate quality and long-lasting value, you've found the perfect line of candles. 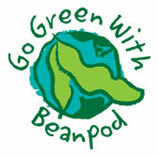 Celebrate Earth Day during April with Beanpod Candles. Our Earth Day special is irresistable — buy one specially-marked Beanpod 16 oz. Go Green Earth Day candle and receive one 4.5 oz. Beanpod candle (any fragrance) free! Look for the special seed hang tags on Earthly Embrace, Eucalyptus Lavender and Bonsai Tree. Available while supplies last. For those who enjoy candlelight and clean-burning soy candles, but prefer to have no scent, we have just the candle for you! 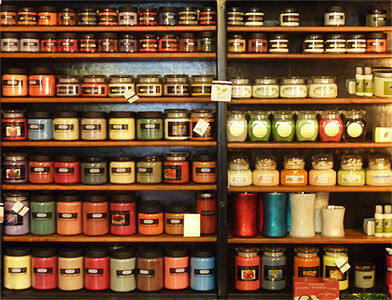 In addition to new scents for Spring 2008, Pinelands carries Beanpod's new unscented candles in all sizes. Beanpod Candles™ are made in New Hampton, Iowa, from 100% stabilized soy wax, which provides a long and clean-burning candle that will retain its vibrant fragrance and brilliant color. You will notice the difference of Beanpod Candles™ from the moment you light one. After all, Beanpod Candles™ are created for a new generation of candle lovers —people like you! Because Beanpod Candles™ by Soy Basics are exclusively harvested from soybeans, every purchase supports the American farmer and provides another source of income back to the U.S. economy. Soybeans are not just environmentally friendly in the home, soy wax is also biodegradable and a renewable resource. Plus, there is no wasted wax, because they burn clean. Pinelands carries Beanpod Candles™ in four sizes ranging from tea light to full-size 25 oz. jars, and in many standard and seasonal fragrances. Small, aromatic soy beads allow you to mix your own delicious scent combinations. Not sure where to begin? Beanpod has created 54 recipes to get you started. Soy Beads can also be used to spice up your traditional Beanpod Candles by adding a temporary infusion of new fragrance and color.